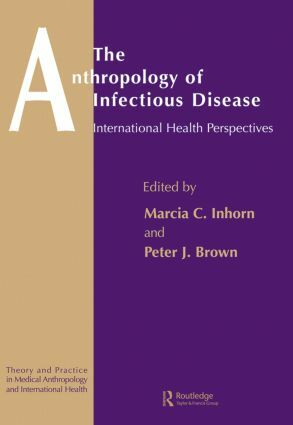 Anthropological contributions to the study of infectious disease and to the study of actual infectious disease eradication programmes have rarely been collected in one volume. In the era of AIDS and the global resurgance of infectious diseases such as tuberculosis and malaria, there is widespread interest and concern about the cultural, ecological and political factors that are directly related to the increased prevalence of infectious disease. In this book, the authors have assembled the growing scholarship in one volume. Chapters explore the coevolution of genes and cultural traits; the cultural construction of 'disease' and how these models influence health-seeking behaviour; cultural adaptive strategies to infectious disease problems; the ways in which ethnography sheds light on epidemiological patterns of infectious disease; the practical and ethical dilemmas that anthropologists face by participating in infectious disease programmes; and the political ecology of infectious disease. "The book should serve as a useful reference to students and scholars of international health…I would recommend it as an entry point into the study of current international health issues." "One could easily teach a course in medical anthropology or public health issues on the basis of this volume, which makes it a doubly-valuable book."